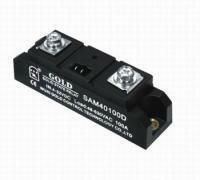 Solid State Relay(SAM4060D-SAM40400D) - Wuxi Gold Control Technology Co., Ltd. Solid State Relay (SAM4060D-SAM40400D) is manufactured by Wuxi Gold Control for more than ten years. Our products are made wit high quality, and alos in compliance with UL, CE & RoHS.